A 12 week journey to a healthier you! If you want to improve your wellbeing and make a positive change to your life, our specially designed programmes can help you to take control of your health. Our signature 12 Weeks To Align Your Health Programme is currently the only comprehensive programme in Jersey to offer a 360-degree approach to health and fitness. Our team of specialists can expertly guide you through the complex world of health to help you on the path to success. The 12 Weeks To Align Your Health offers a glimpse into what your future health could be through various blood tests– and with our support, you could make the changes needed to improve your daily habits and health. This unique programme takes a holistic approach by considering the physical, chemical and emotional aspects of health. I’m interested, who can join the course and which one is right for me? 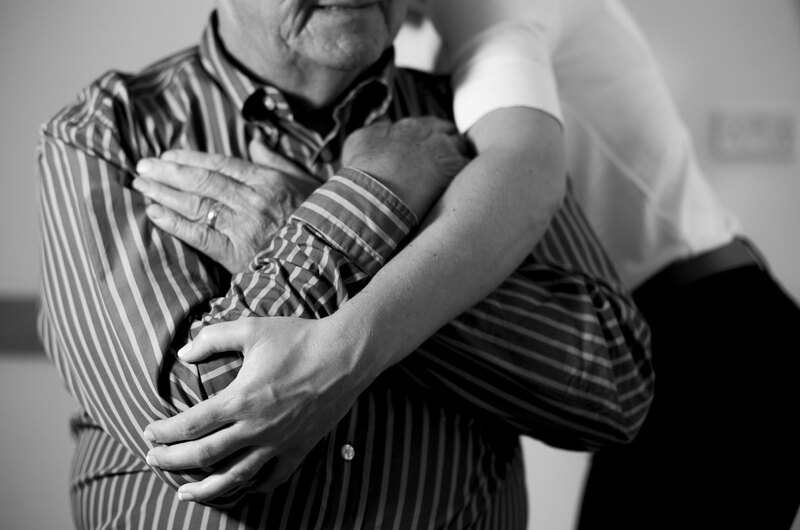 Our courses can cater for everyone who is looking to realign their health. Whether you are looking for a kick-start on to the right path with our six-week plan or you are looking to develop long-lasting good habits and make a positive change with one of our 12-week plans, you can feel healthier, fitter and happier. To make sure you benefit from the right course for you, we offer a free consultation to explain in detail the programme you are interested in. Our therapists work together to create individual 12 Weeks To Align Your Health programmes and 6 Weeks Kick Start Plan’s to make sure you get the best out of our services. We can give you the tools to take control of your own wellbeing journey, including areas that you may not have known could make a big difference to how you feel and that easily fit into your daily routine. 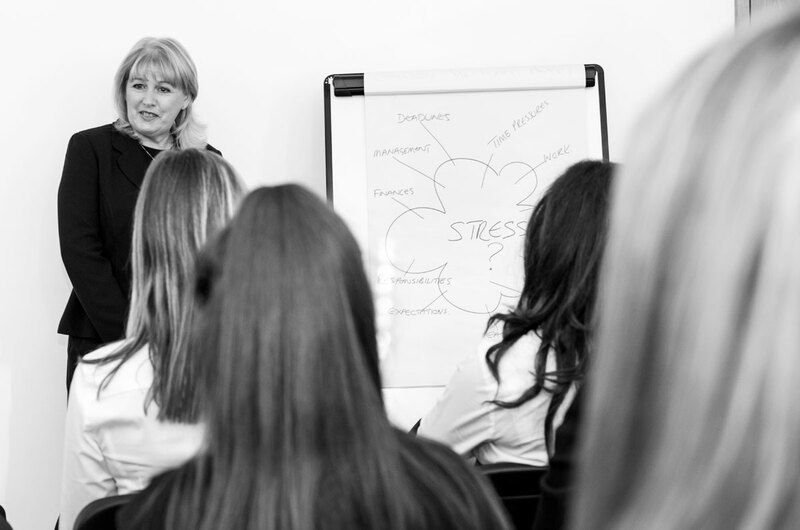 All of our programmes are tailored to the individual and can offer an element of flexibility to help fit in with your busy lives. When you join, the course launches with testing what we regard as the key markers of health to draw up a wellness score. The Gold 12 Week programme is the only one to offer full blood work which includes a homocysteine test, which isn’t currently offered by laboratories serving Jersey GPs. In addition, all 12 Week programmes address your mental wellbeing by offering Cognitive Hypnotherapy or mindfulness sessions. Whichever programme you choose you can expect movement screening assessment and postural analysis, tailored personal training sessions with access to home workouts, chiropractic and remedial massage. Nutritional guidance is provided throughout our 12-week programmes and includes pre- and post-course body fat percentage checks, with further health measurements, conducted again at the end of the course and an updated wellness score provided. 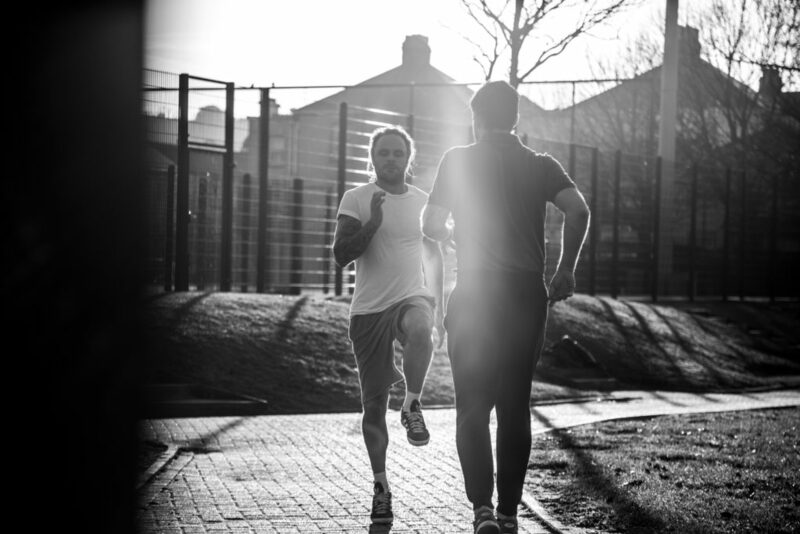 If you participated in one of our signature 12 Week programmes you will receive your results in a one-to-one consultation, giving you a chance to go through your results in more detail with a full information and guidance pack to take away. There’s also continuing support available, including discounts for Align individual treatments and membership packages. As part of the Align community, we also offer vouchers for a friend to enrol on one of our courses. 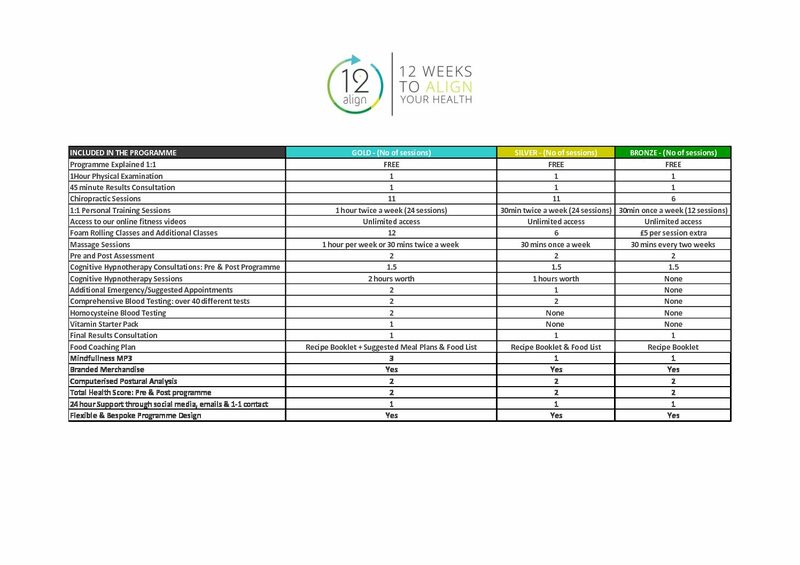 What is included in the 12 weeks programme? Introductory offer of £3000 for registering by the 31st March 2017. Download our in-depth guide to this programme.